I plead guilty to a case and the prosecutor agreed to dismiss another charge, can I have the dismissed case expunged? Many defendants face multiple cases out of a single arrest. For example, we see a lot of DWI cases where the defendant will also have marijuana possession or UCW (carrying a gun while DWI). Or a felony drug cases that also has a misdemeanor drug case out of the same arrest (e.g. meth and Xanax). It’s not unusual for the prosecutor to offer a plea bargain in which one case is dismissed and the defendant pleads guilty to another case. In the examples above we could expect an offer where the defendant pleads to the felony meth case, and a misdemeanor Xanax case is dismissed. That stuff happens all the time. Most people expect that a dismissed case can be expunged. It makes sense right? You weren’t convicted, so it should be eligible to come off your record. But this is Texas so we are always looking for unique ways to screw defendants. A recent Dallas Court of Appeals case, Texas Department of Public Safety v. J.A.M, held that a defendant can not expunge a case if they plead to ANY offense out of particular arrest. So if you have multiple cases arising from a single arrest, you can be put on probation for any of the offenses if you want to expunge the dismissed cases. What happened in the J.A.M case? The defendant pled guilty to a Class A misdemeanor, as part of that deal, the State agreed to dismiss two state jail felony charges. These charges were all rooted from the same arrest. The Defendant received deferred adjudication community supervision as punishment for the Class A misdemeanor. Later the defendant petitioned to expunge the records of the two state jail felony charges that were dismissed in exchange for the Class A misdemeanor charge and deferred adjudication supervision. The Texas Department of Public Safety denied the expunction because the defendant served a term of community supervision stemming from the arrest that was made. The Texas Department of Public Safety appealed the trial court’s decision. 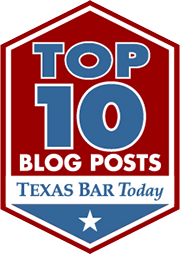 The First District Court of Appeals explains that the requirements and procedures of expunging criminal records are set out in Chapter 55 of the Texas Code of Criminal Procedure. Section 55.01(a) provides that the person seeking an expunction must show that (1) the petitioner (party wanting the expunction) has been arrested and placed on trial, but either was acquitted or was convicted and subsequently pardoned; (2) the petitioner has been released and the charge, if any, has not resulted in a final conviction and is no longer pending and there was no court-ordered community supervision for the offense; or (3) the petitioner was tried for and convicted of the offense for which he or she was arrested, but was acquitted on appeal. The appeals court explained that Chapter 55 takes an “arrest-based” approach to have records expunged rather than a charged based that comes from that arrest. Meaning that if an expunction is not available for all the charges that come from the arrest then an expunction may not be possible for ANY of the charges out of an arrest. So, the court found in J.A.M. that expunction was not available; the Class A and the state felony charges both arose from the same arrest, the defendant was placed on community supervision for the Class A, thus not meeting the standards of 55.01(a)(2) and was unable to be granted the expunction.